On Nov 29, Singapore-based luxury developer SC Global Developments launched its latest residential offering, the 190-unit Setsu Niseko luxury hotel residence in Niseko, located in the northern perfecture of Hokkaido, Japan. Niseko, famous for its powder-like snow has three major ski resorts on Mount Niseko-Annupuri — Grand Hirafu, Niseko Village and Annupuri, which cover most of the southeastern half of the mountain. Simon Cheong, founder and chairman of SC Global Developments, identified the 2.54-acre, prime freehold site within the village of Grand Hirafu, and purchased it in 2015. Cheong declined to disclose his purchase price, except to say that he bought it from “a charming Japanese lady in her 80s” who owns the site behind it as well. “She wanted to sell to a credible developer who would do justice to the site, as it was handed to her by her husband,” he says. Setsu Niseko is located on the Main Street (Route 343), a few minutes’ walk from the Hirafu Gondola Station, where skiers can easily access the ski slopes. 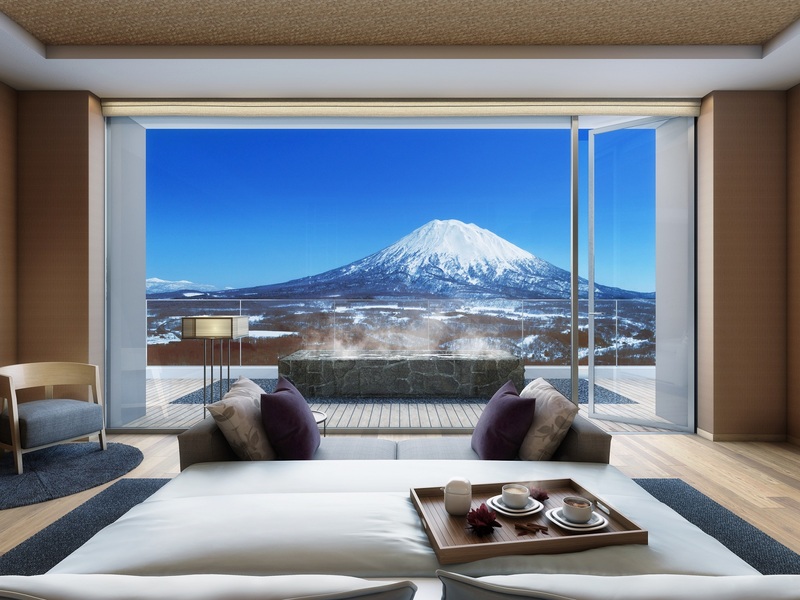 Flanked by two mountains, Setsu Niseko enjoys unparalled views — units facing the east will have breathtaking views of the majestic Mount Yotei (the Mount Fuji of Hokkaido), while those facing the west will have picture-postcard views of Mount Annupuri. The development comprises 190 luxury residences across four blocks and spanning six floors. There is also 10,000 sq ft of F&B space that will be leased to “new to market” operators in Niseko. Units range from studio apartments starting at 439 sq ft; two-bedroom units with tatami rooms from 994 sq ft; and three- and four-bedroom units from 1,518 sq ft. There are also penthouses with 270-degree views. Prices start from US$500,000 ($688,833) for a studio apartment.